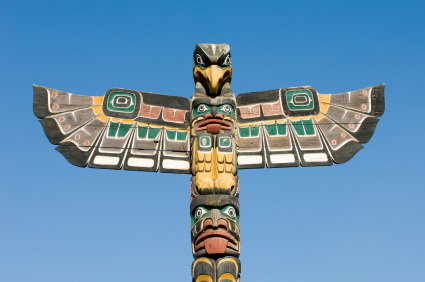 Would you love to cruise to Alaska but were put off thinking it’s way too expensive? That’s not necessarily true! This once in a lifetime cruise itinerary doesn’t have to break the bank. 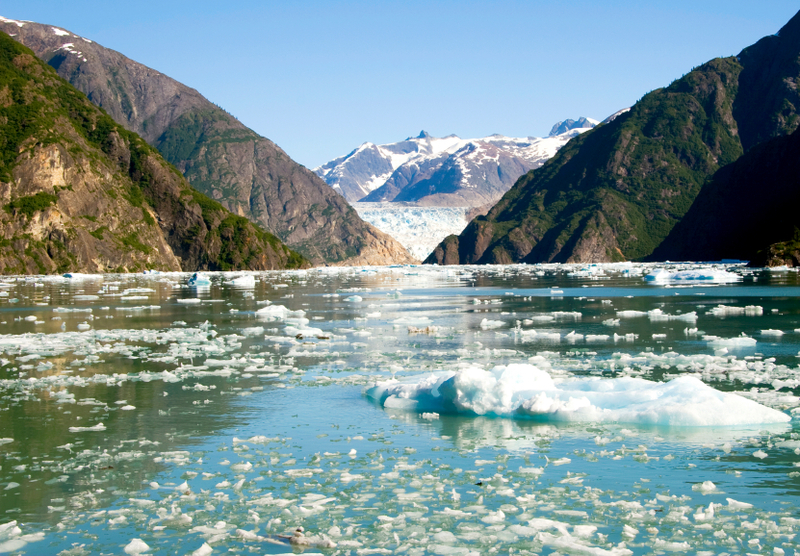 Here’s some ways to save when planning your Alaska cruise. Cruise the shoulder season and you can save up to 30 percent on the price. For Alaska that would be May and September. Demand is lower because the weather is a bit cooler but it’s not cold enough to be a bother. Layer accordingly! Choose a cruise that sails round-trip from Seattle. Seattle is a convenient departure port and the airfare is generally cheaper than having to buy tickets to fly in or out of Vancouver or Anchorage. Everyone says that a cruise to Alaska is the cruise in which you should splurge on a balcony cabin. Nonsense! Book an inside cabin and enjoy the amazing scenery by heading out on deck. Many cruise lines have a naturalist onboard that’s stationed out there to answer questions and share information. On my Alaska cruise there were even waiters serving hot chocolate! 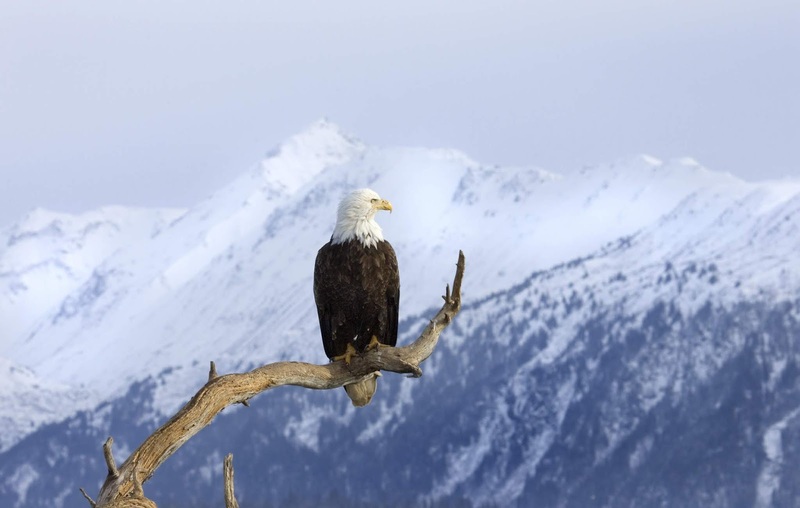 The cruise lines offer many adventurous shore excursions in Alaska and that can get pricey! Keep in mind that sometimes it’s cheaper to book your own shore excursions so do your homework. There are a lot of options out there and the internet makes it a breeze to find them. 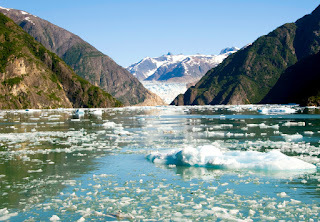 Splurge on your one “must-do” excursion…maybe its glacier trekking, dog sledding or a helicopter ride. Then look for freebies in all your other ports. In Juneau that could be a trip to Mendenhall Glacier or pick up a walking tour map from the visitors’ center at the port. In Skagway head out to Klondike Gold Rush National Historic Park where visitors can attend park ranger led programs, visit the Gold Rush Museum, a 1910 saloon museum, take numerous hikes, and camp. 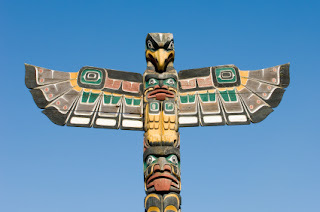 Totem Bight State Historical Park in Ketchikan, Alaska is the best place to see Native American Totem Poles and an authentic Clan House. Look for the coupon books that are given away at information centers on the docks. They are filled with freebies and BOGO offers at shops and restaurants.